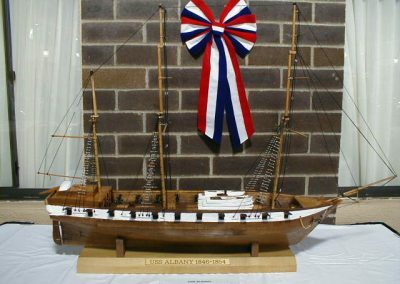 In 1995 shipmate John Heitsman CG-10, 1968 -1970, Alliance, Ohio asked the Heritage exhibit committee if they would be interested in a large-scale model of the 1st USS Albany for display at the exhibit. 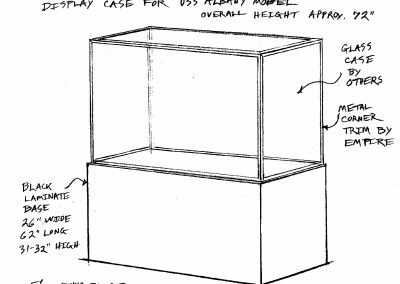 Based on the exhibit committee’s excitement of this offer John went to work on securing detail drawings and materials and started this tedious process. 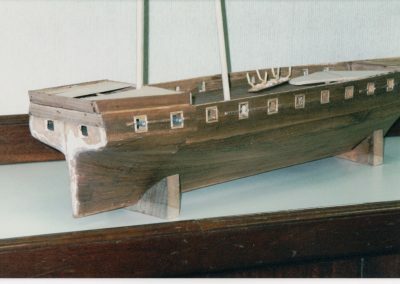 At the 1997 reunion in Canton Ohio, John had the incomplete model on display for those in attendance to marvel over his accomplishments to date. 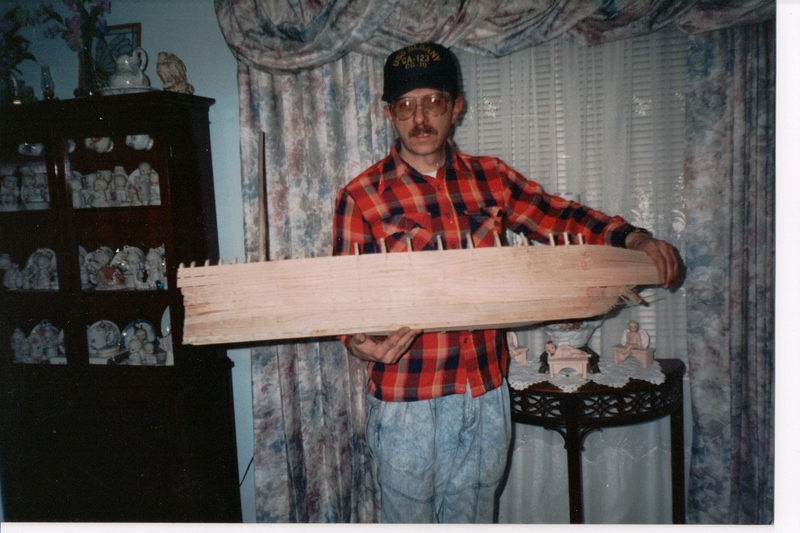 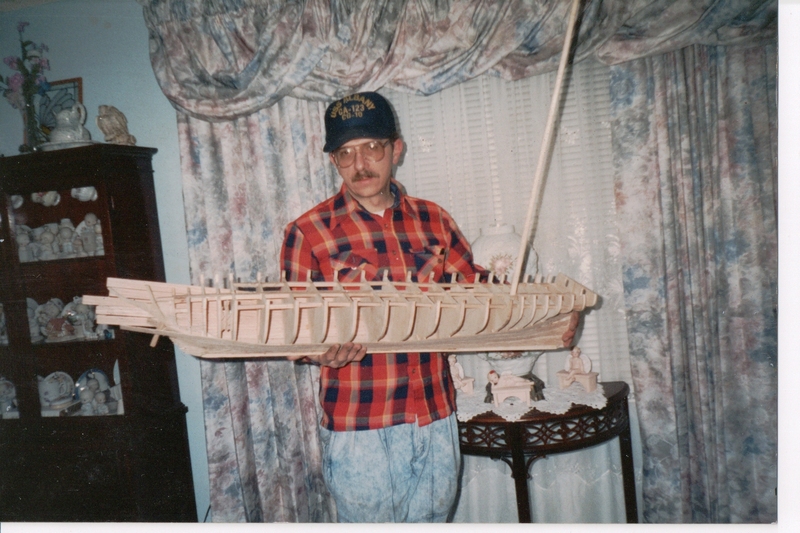 In the next 3 years, John continued to work on the tedious details of the upper masts for completion of the model project. 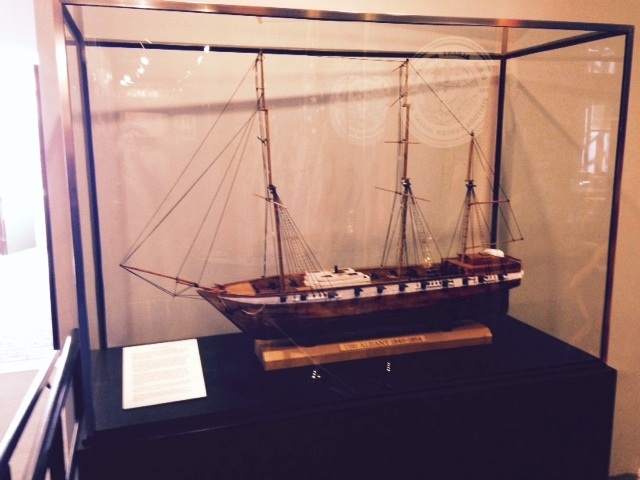 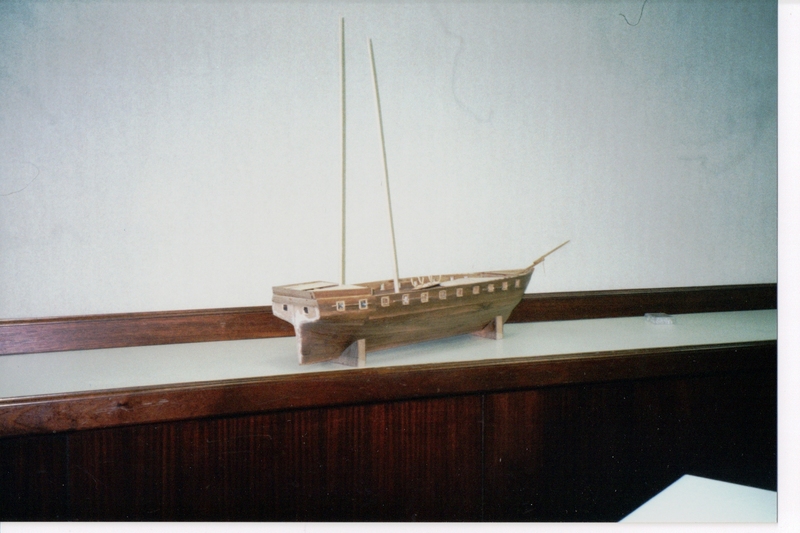 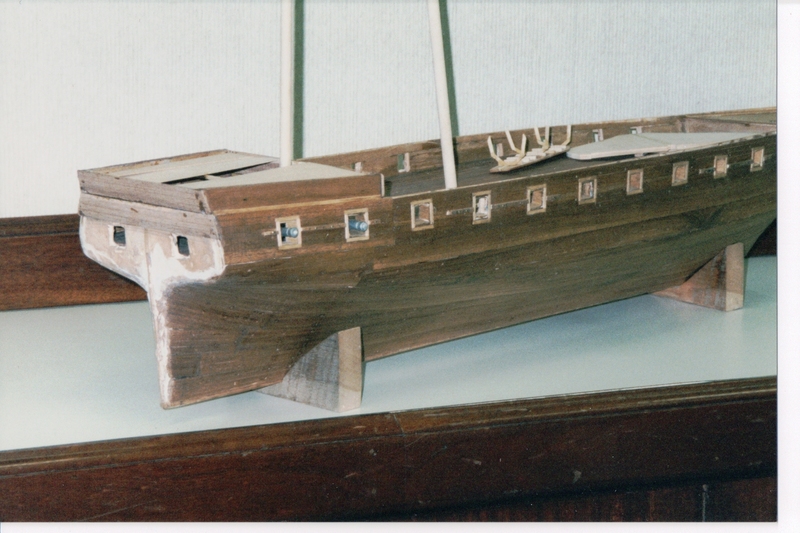 In 2000, John completed the model project he transported and delivered it to the Heritage Exhibit during the 2000 reunion. 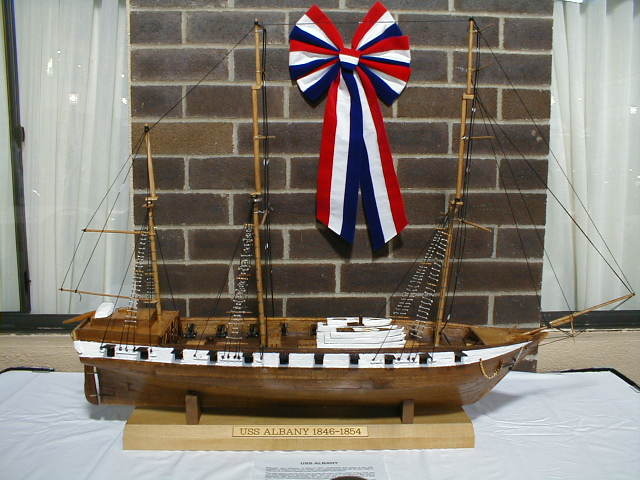 This was a great adornment to the reunion program as it was displayed for the members in attendance to enjoy our heritage as well as John accomplishments. 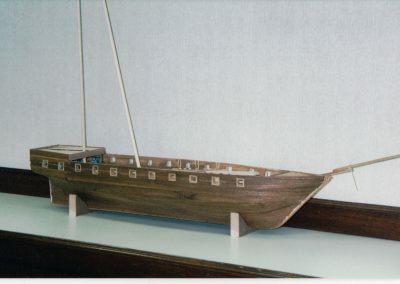 After the reunion, the model was stored while the exhibit committee could secure quotes for a display case to present this piece of valued history. 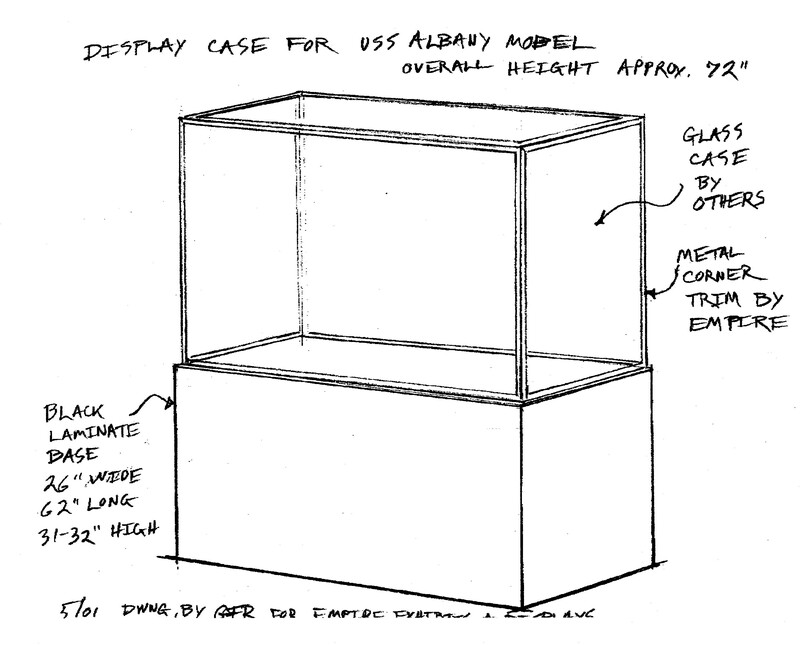 Quotes & drawing where secured, contract issued and in August 2001 the model was installed at the ACCVB Heritage Exhibit where it still displayed for the all to view. Below are list of materials and statistics on the building of the model, photos and a newspaper article of John accomplishments. 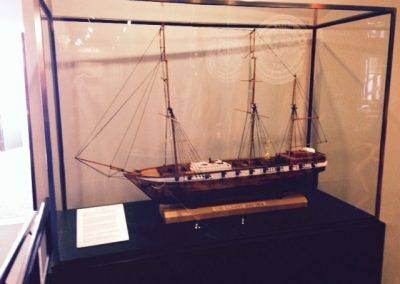 Guns, Stairs, Ship wheel and Anchor were from the Blue Whale company in Maine. 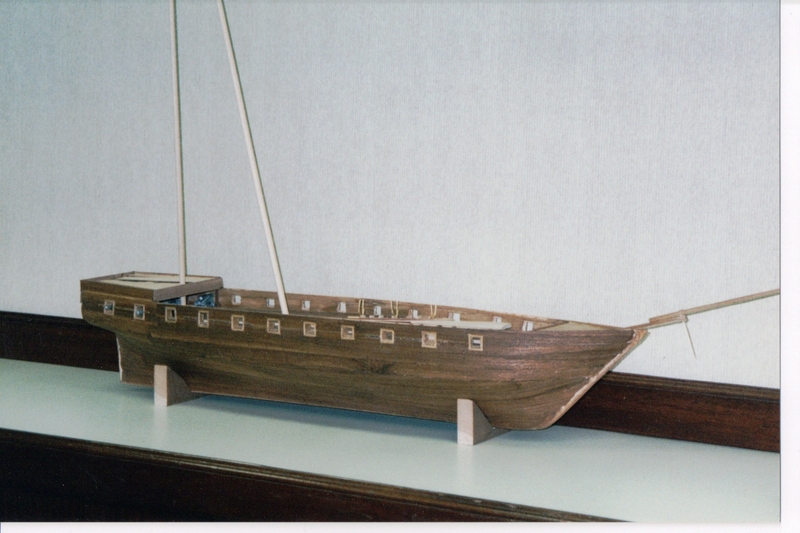 It took 5 years to build at an estimated cost of $5000 for materials and labor.